First Wednesday of the following months - cooks 3-5 and servers 5-7. If you would like to volunteer please text or call Tiffany at 603-380-5872. That way I will know when we have enough volunteers and can coordinate other dates that need to be filled. Don't miss this special event that is so topical. As many of you know our club’s annual partnership this year is with The Cross Roads House. There are many ways to volunteer in our community but the more immediate need is to have members help during their dinners. There is help needed on April 3 and May 5. The time goes by quickly and there is lots of fellowship and music. Tiffany McKenna will be at the meetings getting Rotarians signed up. Thank you for those that have volunteered already. For those who would like to sign up please let myself or Tiffany know, and if you need a makeup, it also counts! You all make a difference in our community and I thank you! “I'm reaching out regarding a recurring volunteer opportunity that has sprung at two of our resident building. We now hold a coffee hour at our Margeson building on Mondays at 10am and at Feaster on Thursdays at 10am. These are opportunities for residents to get out of their apartments and spend time in a communal space to have a treat together. We'd love to have volunteers sign up for a particular day or recurring days to bring donuts, pastries, and/or fruit (coffee is provided) if anyone would like to do so! This is an easy opportunity to also chat with our resident population, as well. Each building also has a piano, waiting for anyone with a passion for it to play during coffee hour as well!! Let Mary know if anyone might be interested. Mary Kelliher is the Volunteer Coordinator for AmeriCorps working out of Portsmouth Housing's Greenleaf Recreation Center with the Resident Services team which assists low-income residents, senior residents, and residents with disabilities in finding resources for different needs, such as budgeting, financial literacy, transportation, etc. Mary and AmeriCorps is seeking volunteers who would be willing to volunteer. One example of a volunteer opportunity is assisting an older female resident who lives alone in moving heavy furniture (strong people needed!) into and from a UHaul during her planned move from her Feaster apartment to Connor's Cottage. If there are any volunteers intersted in lending a hand please contact Mary at maryk@nh-pha.com. The Communications Committee is asking that everyone log onto ClubRunner and check your profile to make sure it is up to date. Change is part of life and we hope to be able to reflect those changes in our website. Happy surfing. Rotary Connections let’s our members know that their Rotary club is thinking of them. 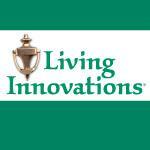 Members facing a health issue, death in the family or a life celebration, we are here! 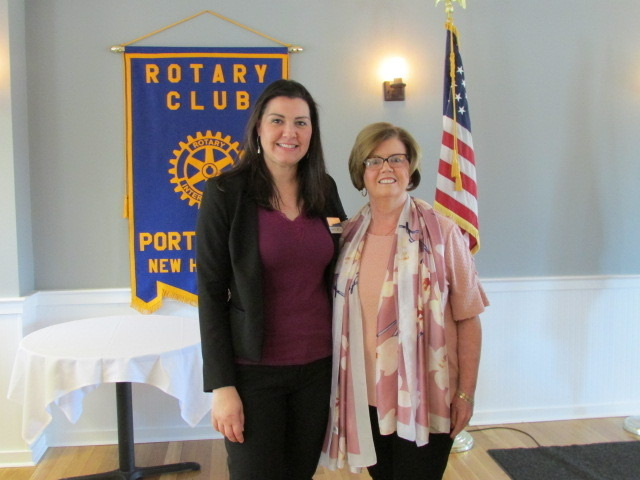 If you know of any of our members who may need a Rotary Connections, please reach out to the Cathy Nickerson or President Ben. Let us Know What is Happening! If you have an event or news that you would like to share with your fellow Rotarians, please forward the information to Dennis Moulton for inclusion in the weekly eBulletin. 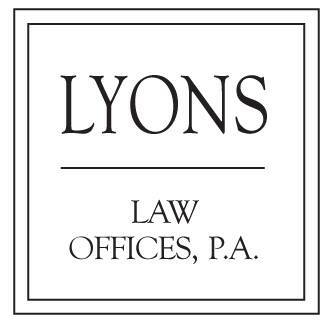 My contact information is d-moulton@comcast.net. And please send photos! Today Marie Brownell was our official greeter. “Unofficial” greeters also were on hand. Mark Leonardi took our lunch money while Justin sold raffle tickets and Marcie scanned badges. We’re fortunate to be greeted by a line-up of welcoming fellow Rotarians each week. Cleo called the club to order and led the pledge of allegiance. A double threat as attorney and singer Dan Hoefle got us off on the right note for God Bless America. Marie Brownell managed well the 4-Way Test duties. John Rice was called on for the invocation and rejoicefully we prayed “for food, friends, fellowship AND Opening Day”. It appears collecting money for each meal served has been difficult this year. Cleo boldly called out Vice President Jon Flagg for non-payment at last week’s meeting. She asserted her presidential power by declaring that lunch next week is on Jon. Jon provided a weak defense, so this writer will be adding a cocktail from the bar to his usual lunch tab. Thank you, Jon! We welcomed Gina Fugilini, guest of Caitlyn Bunce and Elizabeth Worboys-Burr (Yvonne.) Susan Gold’s invitees were Nicole Scarneo and Ian O’Neal. 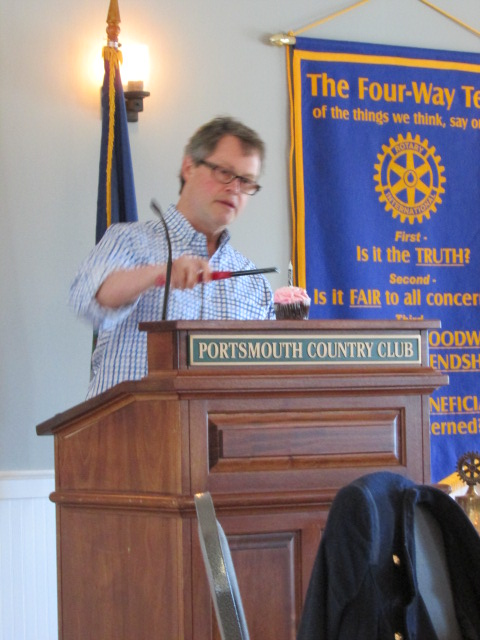 Craig Taylor updated us on Interact Club activities. That active bunch is volunteering for upcoming Special Olympic events. They also want to help the Hands On Committee with fence painting work at the John Paul Jones House. Maureen Sullivan would like all to attend the upcoming opioid epidemic and substance abuse forum. 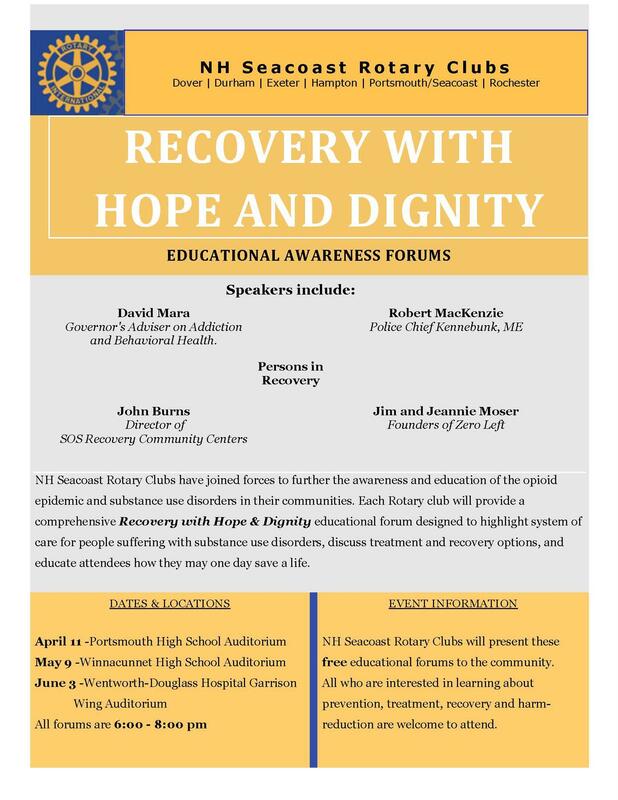 “Recovery with Hope and Dignity” is slated for April 11, 6-8pm at Portsmouth High. 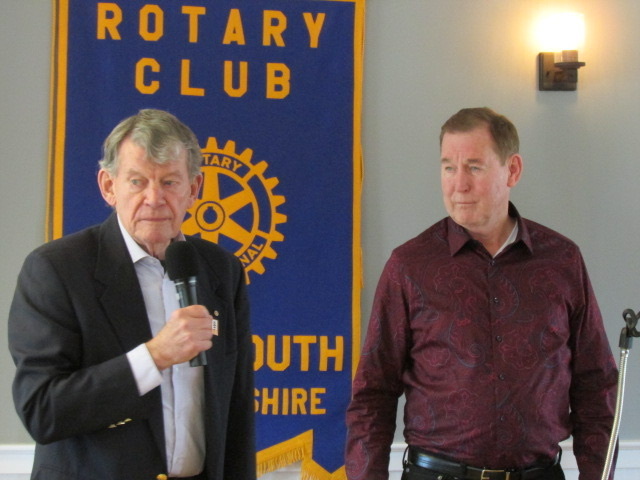 The program is free and hosted by New Hampshire Seacoast Rotary Clubs. Jon asked if it was anyone’s birthday today? It’s Reba McIntire’s and Lady Gaga’s but was anyone in the room celebrating a birthday? After some suspense, Jon proclaimed it was all our birthdays. Our club was formed on this day, March 28, 1923. We’re 96-years-old today! We sang one slightly drone-toned line of “happy birthday to us.” Jon had a copy of the Log from this date in 1968. There was no mention of “our” birthday. Today’s Log will not repeat that error. We welcomed new member Ken Riley. Leonard Seagren had the honor of introducing Ken, a fellow US Air Force pilot. Ken chose Portsmouth for his retirement. He was raised north of Boston and spent most of his adult life in western Massachusetts. Ken expressed pride in his family - a son, two daughters and two ex-wives. Ken retired from the military in 2005 after 35 years of service. He likes to stay busy, though, so for the last five years has been working in real estate. Fine Master Neal Ouellett was hard on our wallets this week. The club’s operating budget is in much better shape for his efforts. He even fined Cleo $10 dollars. Since there’s an unwritten rule that the President can’t be fined, he assigned the bill to Immediate Past President Ben Wheeler. Larry Gray had a happy dollar for Tom Decker’s wife Anne who escaped injury in the recent Norwegian cruise liner incident. …and this week’s winner of the 50/50 raffle was the Portsmouth Country Club wait staff! Congratulations to our hardworking kitchen crew and servers! Past District Governor Dave Underhill introduced our program. 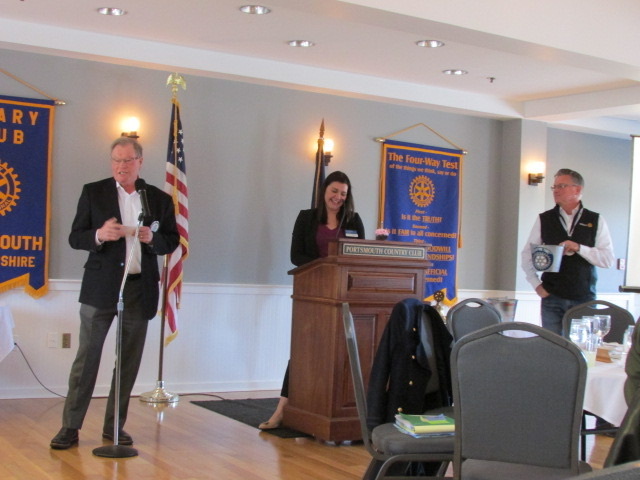 Dave pointed out that combatting the opioid epidemic has been an ongoing priority for District 7780 as well as our club. 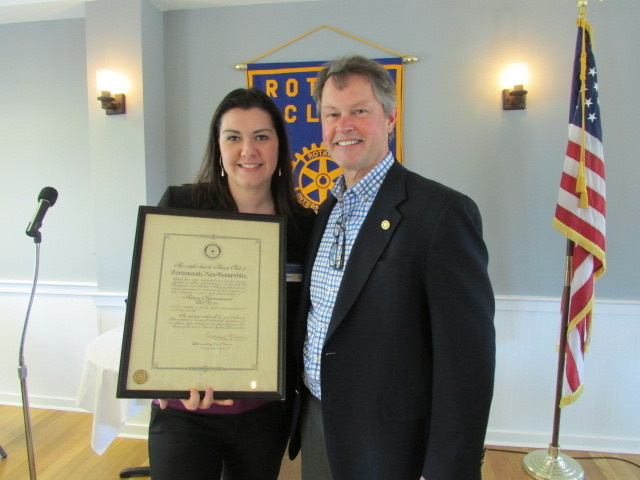 We welcomed Kathy Terry, Co-Founder of a new 401c3 non-profit organization called Step Up Parents. Ms. Terry’s upstart organization’s mission is to offer financial assistance and support to New Hampshire’s relative caregivers. These folks have stepped up to be surrogate parents to kids whose biological parents are struggling with addiction. Per 2015 data, the number of grandparents raising children in New Hampshire is estimated at 12,000 to 14,000. In many cases, people in their 70’s are on limited retirement incomes. Now they endure the unexpected task and expense of raising children. Ms. Terry said that this is often on top of dealing with their own age-related health issues. She notes that there was even a case where great-grandparents were raising children. Some 6.5% of the state’s children are being raised by non-parent relatives, compared to the national average of 4%. There is no aid available for these increasingly common circumstances. It’s important to help these families because children raised by non-parent relatives do better than children in foster care. Although in its infancy, Step Up Parents is busy networking with support agencies and school districts to identify needy families. 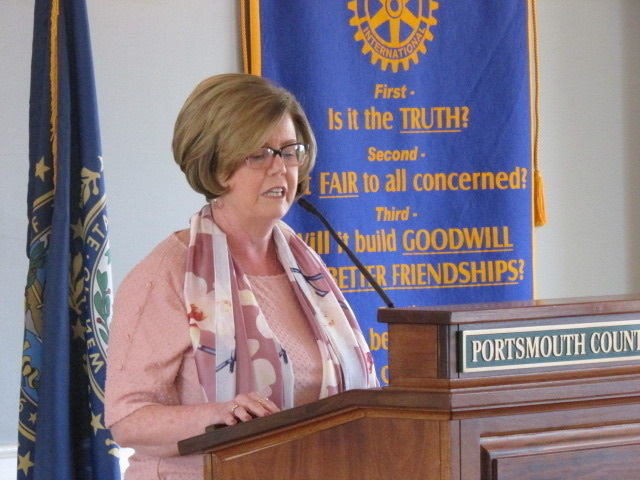 They’ve formed collaborative partnerships with Chase Home and Seacoast Mental Health. They are also busy networking with corporate sponsors, civic organizations, grant providers and individuals. Step-Up’s next fundraising event is April 11, 5pm to 8pm at Whims and Whatnots, 611 Breakfast Hill Road #2, Greenland. 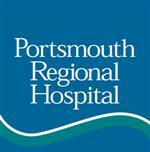 If you’d like to help, contact Step Up Parents, PO Box 1603, Portsmouth 03801. Phone, website and e-mail are 603-319-4739 www.stepupparents.netkterry@stepupparents.net. Well it is April 1st - bring your best and compete - easy? Executive Director Deborah DeScenza, M. Ed. Annual Gordon Allen Humanitarian Award! !